body designed to make you look and feel renewed. Your body speaks a unique language to communicate the imbalances within it. Chinese medicine has mastered the art and science of reading the body’s language over its five-thousand-year practice. Your reflection offers visual cues to what may be happening within your internal systems–such as your heart, stomach, hormones and even your mind and spirit. 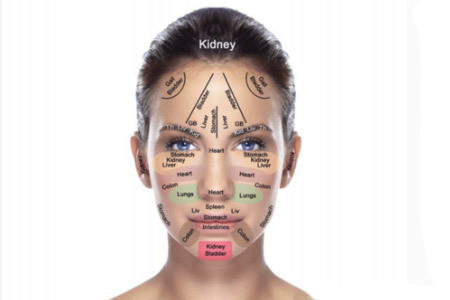 In our Natural Facial Rejuvenation treatments, we use the Acutron Mentor machine which uses energy + light to re-educate the facial muscles + address the underlying causes of visible aging rather than masking outside symptoms. 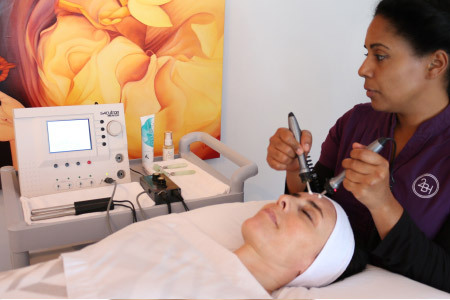 The magic of our Natural Facial Rejuvenation is the use of color combined with microcurrent done simultaneously. Microcurrent lowers the resistance in the body’s energy pathways so light, color, and energy can travel. Color is how the body communicates on the cellular level. 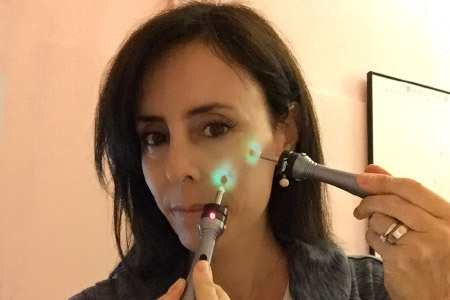 Through the application of light + color at targeted areas on the face, information is delivered directly to where it is needed to balance the body and bring your innate beauty to a new level that’s beyond any other non-surgical treatment. Promotes collagen production; smoothens fine linesand wrinkles and firms skin tone. Improves skin texture, diminishes blemishes and breakouts and minimizes puffiness. Remedies the effects of free-radical, sun, thermal, and wind damage. Increases the energy of the entire body, regulates the flow of energy (qi), and removes blockages in the meridians.